4.2 out of 5 based on 51 bloggers and 5 commenters. 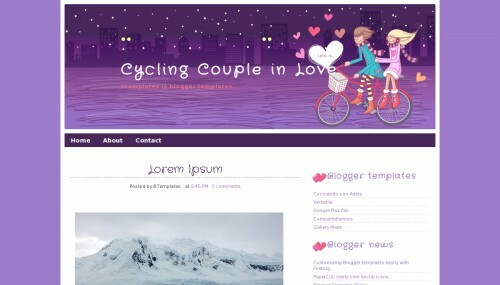 Cycling Couple in Love is a free blogger template with 2 columns, right sidebar, an exclusive design for Blogger, girly looking and vectorial elements. I have had this template downloaded and on my blog for several weeks but the images suddenly stopped working. What can I do? I’ve tried reuploading and it didn’t help. Como que tira o desenho de cima do template?